It should come as no surprise to anyone by now that I am a fan of homemade salad dressings. I made this for a family dinner some time ago and have been meaning to post it forever now. 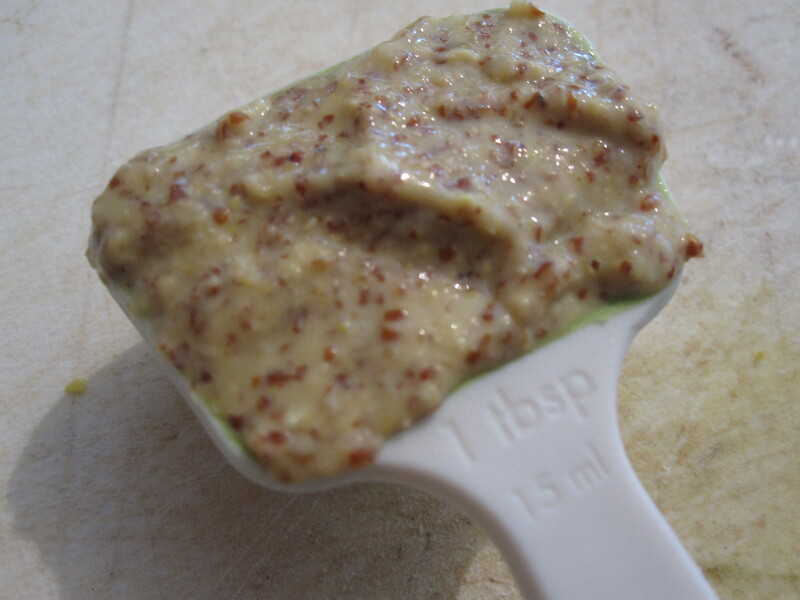 It was a delicious dressing that I ended up using on a spring salad. 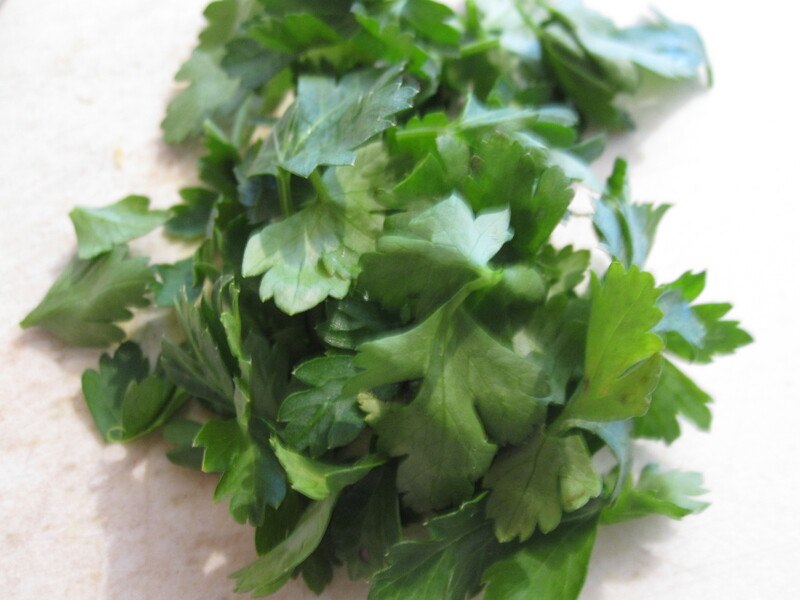 It would also be a great marinade or you can serve it warm as a sauce as well. It’s very versatile and easy to make. 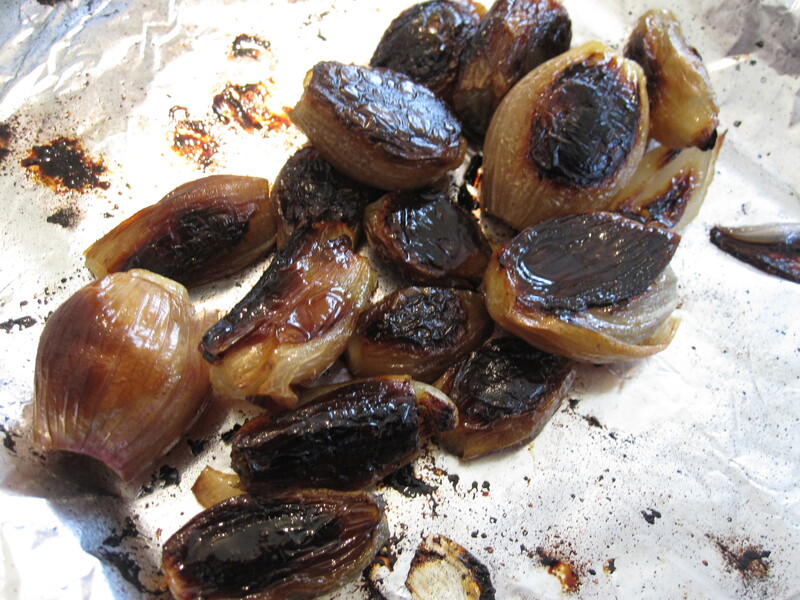 It begins with, you guessed it, roasted shallots! 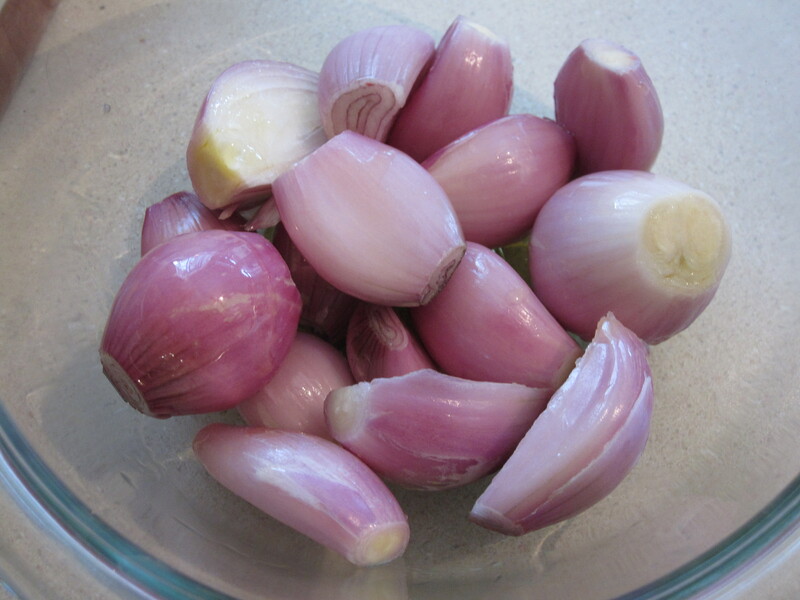 To roast them take the rough skin off the shallots, like you would with garlic. Toss them with some olive oil and place them on a tin-foil lined tray. They roast in the oven for about 35-45 minutes or until browned. Your house will smell so good! 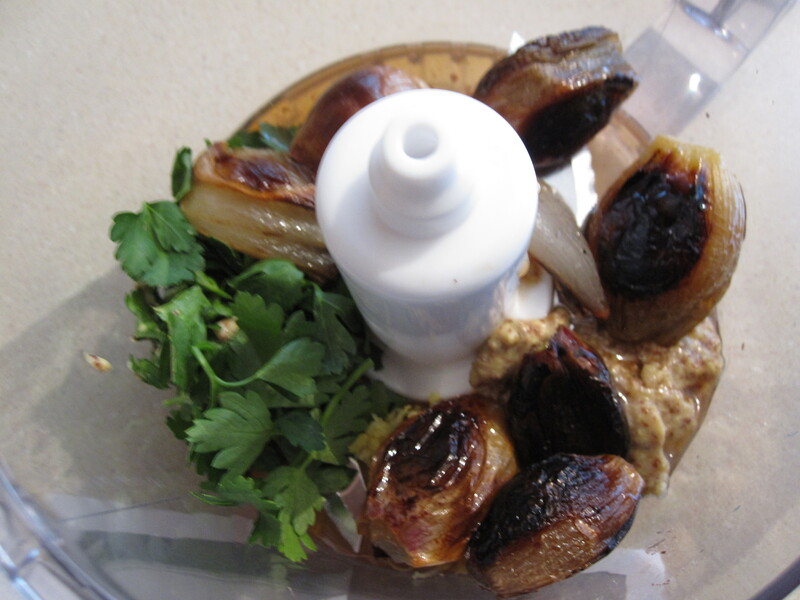 Chop the remaining shallots and add to the dressing. Now, how easy is that! 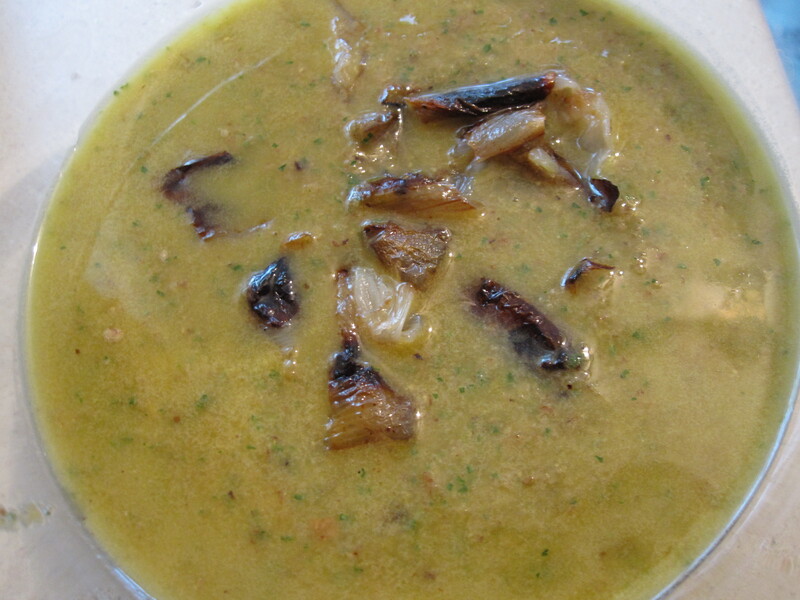 This entry was posted in Recipes, Sauces and tagged lemon zest, olive oil, parsley, recipe, roasted shallot vinaigrette, roasting shallots, salad dressings, sherry vinegar, whole grain mustard. Bookmark the permalink. I think I could drink that it looks so good! 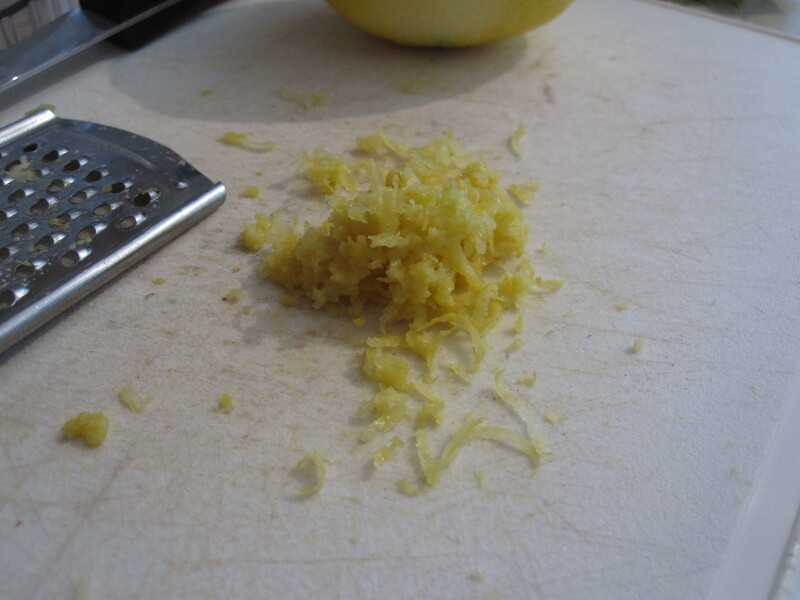 The perfect vinaigrette! This could turn any boring salad into an awesome one.